Looking for an easy way to check out some of the games submitted for Ludum Dare 29? 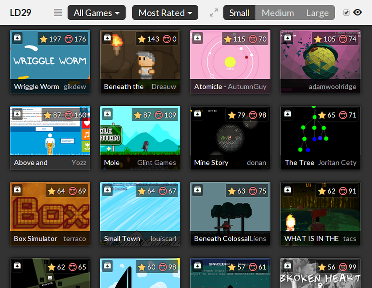 Have a look at the Ludum Dare Game Browser, hosted by itch.io. The browser lets you quickly scroll through all the games. You can even sort the games by ratings and filter by platform.